Here’s your monthly fix of opportunities for funding and more, including a great professional development workshop from our Tassie colleagues, and the chance to get FREE TREES if you’re in Sydney. Each month, we search out available grants, residencies, jobs, awards and more to help you navigate the arts landscape. Every dollar you donate to Performing Lines between now and 31 May will be doubled by Creative Partnerships Australia. We will use use those funds to drive the development of urgent new Australian work, like Andrea James’ Sunshine Super Girl – the story of Evonne Goolagong, and Paul Mac and Lachlan Philpott’s The Rise and Fall of Saint George. Your contribution will directly support the creation of new shows that speak to who we are now, and who we could be. Every dollar counts and helps us reach our goal. City of Sydney | Free trees! The City of Sydney is giving away 1,000 free trees to local residents tomorrow! You can get your mits on one of 24 different species from 10am on Sat 30 March at Sydney Park until all trees have been given away! Local artists in any artform can apply for $5,000 to support the development of their practice. Applications due Sat 30 March and Wed 30 September. This program supports arts projects that celebrate Aboriginal and Indigenous culture and diversity. The grant wishes to make Aboriginal works and celebrations of culture more visible and accessible. Applications close Mon 1 April. This program is for individuals with disability undertaking an artistic collaboration involving mentoring. The proposal should lead to a major step forward in the applicant’s arts practice, and build foundations for an enduring career. Applications close Tues 2 April. Enables artists to experience Antarctica and the sub-Antarctic, and Australia’s activities in these locations, so that they may communicate this unique experience and understanding to others. Applications close Wed 3 April. Our Hobart colleagues are offering a creative business development workshop for Tasmanian artists to improve their sales pitch. Over one weekend, the Matchbox program will empower you to visualise and express your creative project. EOIs close Sun 7 April. This program supports professional arts and cultural projects at any stage of the creative process. Applications close Mon 8 April. 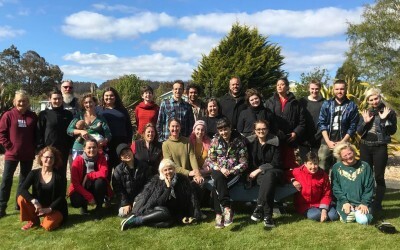 These grants seek to assist WA playwrights and theatre producers to commission and develop new scripts and performances to tell Western Australian stories. The program is offering up to $30,000. Applications close Thurs 11 April. For individual artists and cultural workers (emerging and established) to participate in transformational professional and career development opportunities. Applications close Fri 12 April. This is an amazing introduction for artists of all artforms to Force Majeure’s dance theatre devising technique, led by Artistic Director Danielle Micich. Runs Sat 13 and Sun 14 April. Pitch for $3000 to go towards your next creative project at the Awesome Foundation’s VIVID Ideas pitch night. Application close Sun 14 April. This program funds new collaborations and partnerships between major performing arts companies and the broader sector and community groups. Applications close Tues 16 April. Explore psychological and biomechanical factors that influence dance in this practical course. Led by West Australian dance scientists Dr Shona Erskine and Dr Luke Hopper, participants will gain an in depth insight into dance from a scientific perspective. Registrations close Thurs 18 April. This program is designed for experienced arts leaders to explore how to create meaningful and radical change within their communities and organisations, serving as influencers within the sector. Applications close Thurs 18 April. Centre of Contemporary Arts Cairns is currently calling for proposals for new contemporary Indigenous performing arts initiatives to be considered for development and presentation from July 2019 to June 2020. Applications close Tues 23 April. 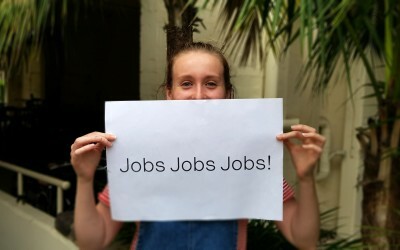 Artists’ Top Up grants support independent practicing professional South Australian artists to build sustainable careers in the arts and to grow their international profile through access and participation at the Edinburgh Fringe. Applications close Sun 28 April. Funding is available to assist local, independent producers and presenters to build global connections and develop business prospects through industry focussed participation in Edinburgh during their summer festival season. Applications close Sun 28 April. This grants scheme offers grants of up to $4,000 for individuals and $9,000 for groups for staff, final year students and graduates (up to five years from the final year of study) from Helpmann’s partner institutions. Applications close Fri 3 May. The purpose of this funding is to provide support for Perth and Melbourne arts programs which are focussed on supporting education and promoting creativity, using art as the vehicle with which to engage participants with learning and their community. Applications close Fri 10 May. 10 artists working across visual art, performance, music, film, design, and literature will be commissioned to create new works. Applications close Mon 13 May. This fund encourages you to partner with a community organisation to create local projects that enrich the community. Applications close Wed 15 May. Offers grants up to $10,000 to assist talented emerging and early career artists to undertake international professional development opportunities, gain experience, develop networks and learn skills from leaders in their field. Applications close Tues 21 May. The annual fellowships round is open to individual mid-career artists, and supports the development of their practise over a two year period. Applications close Tues 4 June. The remaining grant rounds for project, touring and career development for 2019 will be in June and October. Applications close Tues 4 June and Tues 1 October. 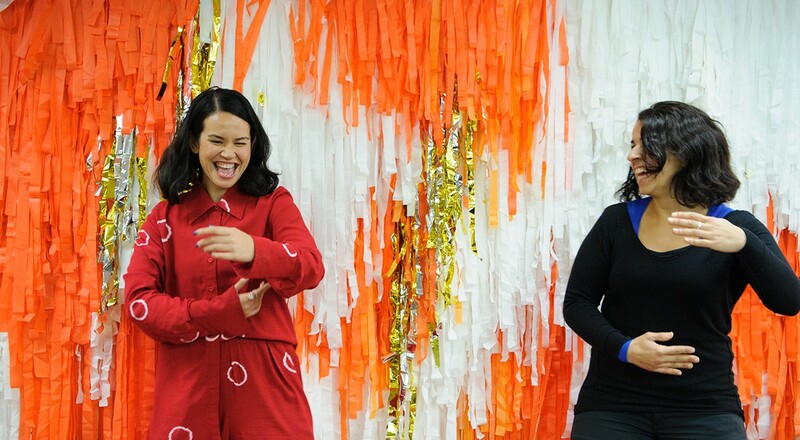 This four-day international conference will focus on vital, diverse and inspiring music and art making by women and gender-diverse artists and scholars. Conference runs 16 – 19 July – registrations now open.